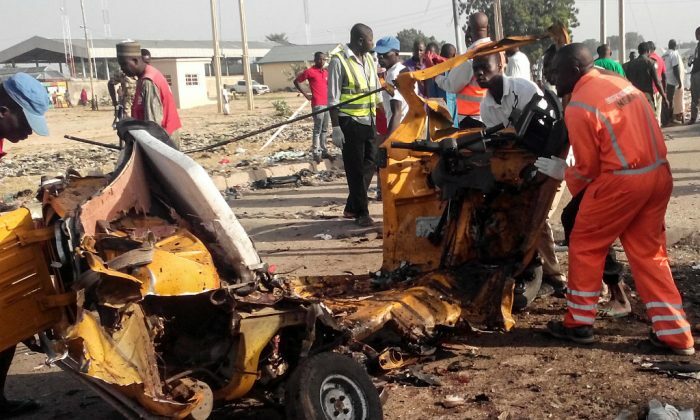 YOLA/BAUCHI, Nigeria—A suicide bomber killed at least 50 people at a mosque in northeastern Nigeria on Tuesday in the biggest mass killing this year in a region facing an insurgency by Islamist militant group Boko Haram. Mubi is in Adamawa state where Boko Haram militants held territory in 2014, although the insurgents were pushed out of those areas by troops in early 2015. Boko Haram typically mounts suicide attacks in crowded public places such as mosques and markets. Tuesday’s attack is the highest loss of life since 56 people were killed in the same state last December, when two schoolgirl suicide bombers killed 56 people and wounded dozens more in a coordinated attack on a crowded market. Most attacks by the group focus on Borno state, the birthplace of the insurgency. The group held a swathe of land around the size of Belgium in Borno, Adamawa and Yobe states until early 2015 but were forced out by Nigeria’s army backed by troops from neighboring countries.